Stop by today and pay us a visit. You'll be happy you did! Located in Jackson, Solo Bella brings classic Italian-American eats with a contemporary flare to Ocean County with winning results. 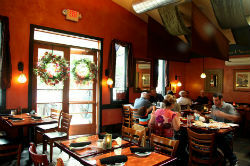 The restaurant�s menu includes standouts such as linguini with fresh clams, eggplant rollatini and veal Milanese. 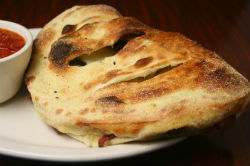 This very popular Southern Italian bistro is the best restaurant in Jackson.- www.new-jersey-leisure-guide.com. We are located in an attractive stand alone building that invites you to enter into the lobby area where seating and deli cases are filled with gourmet italian food products and fresh baked desserts. There are two dining rooms and the decor in the main dining room is pleasant and soft, with earth toned walls and burgundy drapes, soft lighting and candlelit tables. Come early! 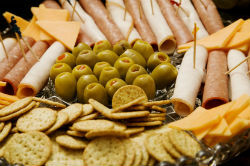 They don�t accept reservations for small parties and there can be a long wait on Friday, Saturday and Sunday evenings. We are family and child friendly. Come and see for yourself what all the buzz is about!! Give mom a break, let us make her dinner!